Pansy and Misty matched a lot of couples in Orchard Hill but not everyone needs their help. Cal Wensloff has moved back home to Orchard Hill and Susan Schmidt discovers that the crush she had on him in high school is alive and well. The amazing part is that Cal seems to be interested in her, too. But when her father forbids her to see him, and a rival sets her sights on Cal, Susan has to make some hard choices. The 4th of July is coming up and she's agreed to play Snow White in the annual parade. 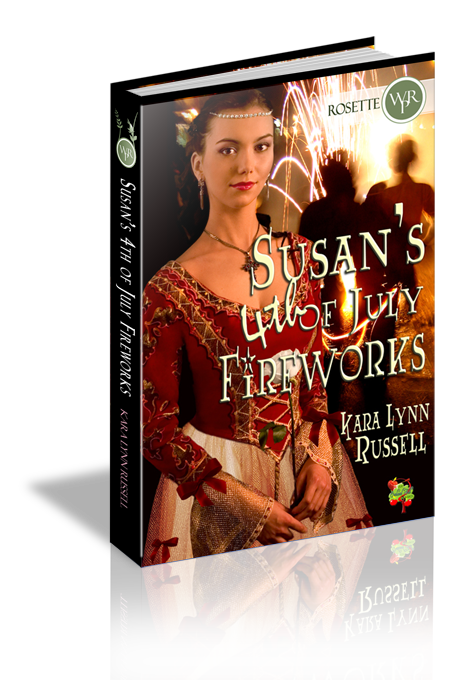 Will Cal be her Prince Charming, or will Susan end up alone again? One way or the other, there'll be fireworks in Orchard Hill this 4th of July. Unprepared to meet him after all these years, Susan stared dumbly. Over six feet of hard muscle, broad shoulders and that mischievous glint in those blue eyes that contradicted the farm boy “aw shucks” smile on his face. “S-sure. In. I mean, come in.” So much for her cool, self reliant businesswoman image. She stepped back so Cal could enter. His arm grazed hers and tingles flew up to her shoulder. She might as well be back in Mrs. Schlaeger’s home room. Suddenly Susan couldn’t remember if she’d combed her hair yet. And she wished she was wearing a suit and heels. She felt vulnerable in her bare feet. “Would you like some coffee, Cal?” There, she could speak in complete sentences. Cal had just caught her off-guard, that was all. She was fine now. She opened her cupboard and saw that she’d used the last mug on the lower shelf. Standing on tiptoes, she stretched up to reach the higher one. “Let me get that for you.” Cal was suddenly right behind her, crowding her against the counter and reaching over her head to grab the mug. He rested one hand on her shoulder and his chest brushed her back. Instantly, every nerve she had was on high alert, and her heart fluttered in her chest. See, she had come a long way since high school. If he’d touched her like this back then, someone would have had to mop her up off the floor and pour her into a bucket. Now, they’d probably only need a spatula.